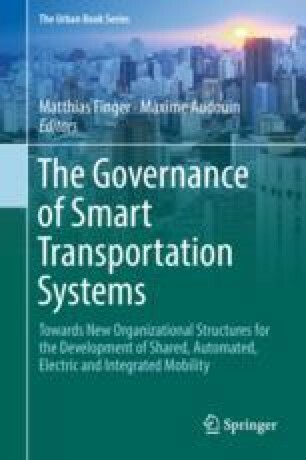 This chapter is a product of a research project entitled Institutional Frameworks for Integrated Mobility Services in Future Cities (IRIMS). The authors would like to express gratitude toward Vinnova, which funded the project, and toward our research colleagues who contributed to the analysis, mainly Till Koglin, Annika Kronsell, Adam Laurell, and Emma Lund. Moreover, we are thankful to all the interviewees who devoted their valuable time.